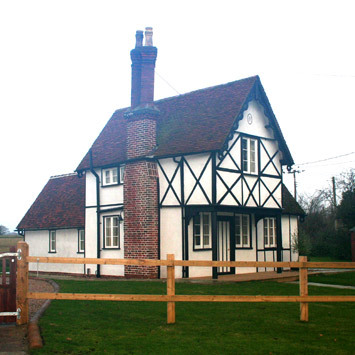 This small timber framed lodge house was renovated and converted to create a cosy and pretty countryside holiday cottage. We rebuilt the kitchen lean-to on the rear and replaced a flat roofed extension on the back. The new extension was timber framed, with a steep pitched tile roof with decorative bargeboard, as was found to the existing cottage. We designed in new plumbing, electrics and waste systems throughout, including new light fittings and a pressurised hot water system. 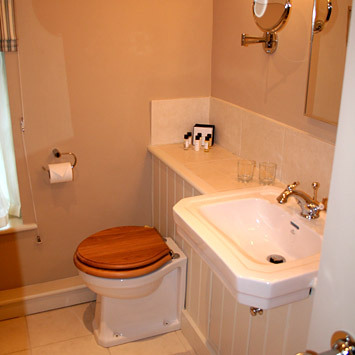 We designed and drew up the new painted Kitchen and En-suite Bathroom facilities, which a joiner then made up. The traditional timber lath and lime plastering was redone externally. Internally the old fireplaces were opened up and cast iron inserts put back in. 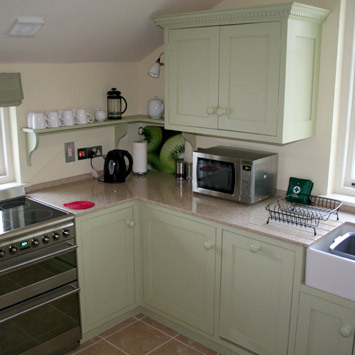 The renovation enhanced all the interesting historic features and has created a warm and welcoming holiday cottage.